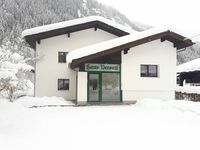 Self-catering house in the skiing and hiking region Brandnertal for 12-14 pers. 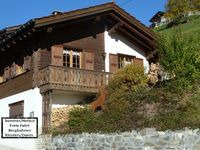 Property 2: Self-catering house in the skiing and hiking region Brandnertal for 12-14 pers. Very cosy, atmospheric chalet with lovely views. Property 9: Very cosy, atmospheric chalet with lovely views. Property 17: Charming detached house for single family residence in Kappl. Cozy mountain home with very clean and charming interior. Unpdated kitchen and bathroom. Had everything we needed (television, dishwasher, teapot). Perfect location. The home made for a wonderful mountain holiday. Herr Saxer is very accommodating and is very easy to work with. Thank you Herr Saxer! We hope to visit again! Excellent chalet for a family vacation.